In September 2017, I self-published our family’s story in a book called “Peace in the Process: How Adoption Built My Faith & My Family.” It’s an updated, expanded version of the ebook I self-published in 2014. Available in paperback and Kindle versions, it’s a memoir about how God made me a mom and a story of God’s faithfulness. “Peace in the Process” is the story of God’s faithfulness through a season of infertility, three adoption processes, and the days since. Through it all, I learned God hears the desires of our hearts, wants us to live in community, and uses all of our circumstances for our good and His glory. This second edition of “Peace in the Process” includes contributions from other adoptive moms, my children’s birth moms, and resources for families who want to grow through adoption and the people who support them. Writing “Peace in the Process” was therapeutic for me. Reliving the hard days wasn’t easy, but it was worth remembering what God has done for us. “Peace in the Process” is available on Amazon. Buy “Peace in the Process” here. 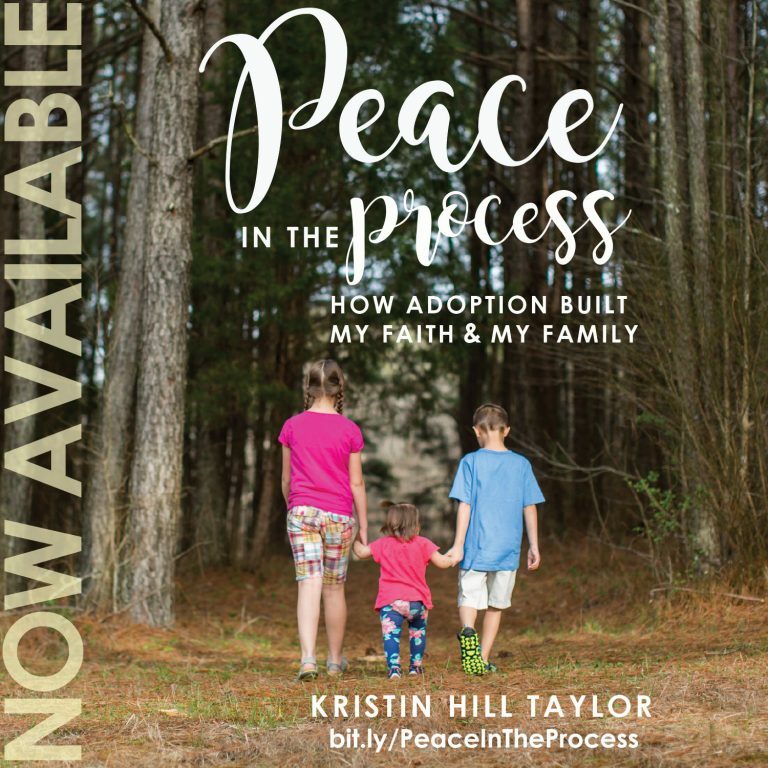 In “Peace in the Process,” Kristin Taylor peels back the veneer from her family’s journey through infertility and adoption, uncovering the beautiful truth of God’s faithfulness. Thank you, Kristin, for your courage in sharing your inspiring story! 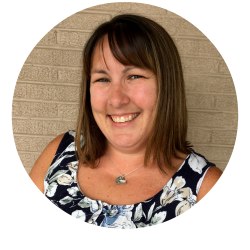 Kristin Hill Taylor shares an inspiring and heartwarming story of how God created her family in a way she never expected. For anyone who has adopted, considered doing so or knows someone on that journey – this book will encourage you. “Peace in the Process” is one woman’s unexpected journey toward motherhood, but more than that, it’s the story of anyone whose life didn’t go according to plan. Kristin Hill Taylor shares a beautiful story of how God made a family – her family – through the beauty of adoption. Reading along, I imagined all of the adoptive families who would be richly blessed by reading these words. 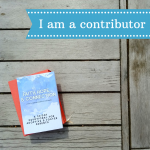 Even more, I prayed that this book would fall into the hands of many young women who might be weighing that difficult decision about how to handle an unplanned pregnancy. This book tenderly illustrates how God writes the most beautiful stories out of our deepest heartaches. 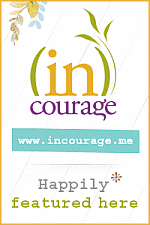 Whether you are going through infertility or a completely different type of struggle, “Peace in the Process” will be a comfort and an encouragement to you as you face a life that looks completely different than you imagined or expected. 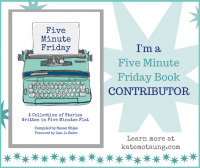 Kristin’s story resonates with me as someone who also has learned to release my expectations and trust God even with – or maybe especially with – things most important to me, and it encourages me to keep placing my family and our future in the hands of the One who designed us and loves us more than I can imagine. 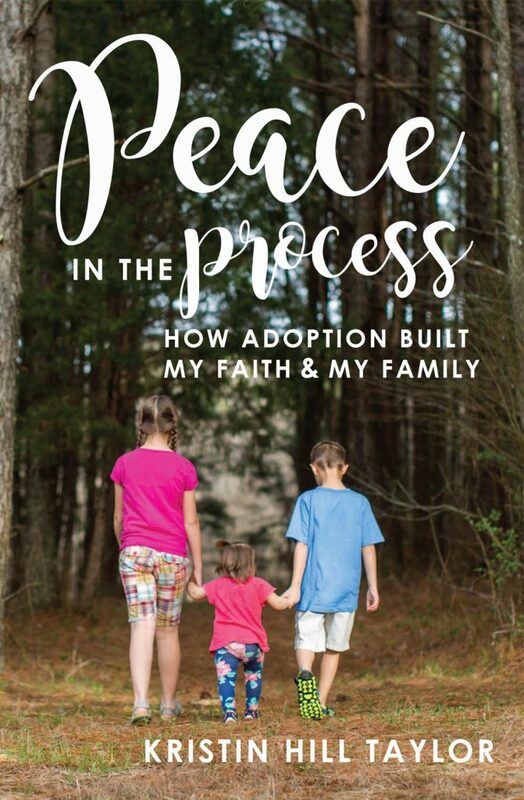 “Peace in the Process: How Adoption Built My Faith & My Family” is a must-read for anyone considering adoption or for those already in the process. God’s faithfulness is evident on every page. Kristin’s words will no doubt bring hope to those who are weary and waiting for the family they so desperately desire. Her story is a reminder that no matter what we face, His peace is always within reach. A beautiful adoption story that points to a Savior who wants nothing more than to adopt us into his Forever Family if we’ll simply accept His invitation. The thing I love about Kristin’s book and story is the beauty in celebrating all the different ways the Lord chooses to expand families. Just as I consider the story of how my family was born through foster adoption to be miraculous and beautiful, the story in the pages of this book is a beauty testimony to God’s goodness and wonderful plan for our lives. Reading about a continual peace that surrounded Kristin throughout the process of her adoptions was a beautiful reminder that God cares about the details of our lives and weaves all the intricate threads together to make a beautiful masterpiece. You can’t read this book and not recognize this marvelous truth.